Edward O’Neal “Eddie” Bromiley, 40, of East Wenatchee died on Wednesday, June 13th, 2018 from injuries sustained from a work accident at Rock Island Dam. He was born on April 3, 1978 in Wenatchee—the son of Clark Edward and Melinda Rae (Mickelson) Bromiley, and was raised at the family’s ranch on Badger Mountain. Eddie started his education at St. Paul’s Lutheran School (where his children currently attend), he then continued on to the Eastmont School District where he attended grade school and then graduated from Eastmont High School in 1996. During grade school he was active in 4-H and in High School he was president of the FFA, and participated High School and Intercollegiate Rodeo participating in both calf roping and team roping. He continued his education at Central Washington University in Ellensburg. While attending college, he accepted a temp position at the Chelan County PUD. He graduated with a Bachelor’s degree in Electrical Distribution Theory. Eddie continued his career with the PUD and helped at the Bromiley family ranch on Badger Mountain. He was an active member of the Local Union No. 77 and the Shop Steward. He enjoyed teaching numerous apprenticeship courses for the PUD. Eddie met Laura May Barnhart through mutual friends in Ellensburg. Following a 2-year courtship, they married on September 20th, 2008 at the Barnhart Ranch in Ellensburg. Making East Wenatchee their home, Laura was the love of his life, and together they had two children; Hallie May, 7-years-old and Kenneth Clark “KC”, 4-years-old. Eddie took great joy in helping family, friends, and co-workers, he was trusted and loved by many. His friends nicknamed him “The Gov” because he could talk the bark off of a tree. He was known to be great at all tech things. He thoroughly loved hunting, including an annual trip to Montana with his dad, uncle, cousin and close family friends. He also enjoyed camping with family and friends. Eddie was fond of traveling to places such as Vegas, Hawaii and Nashville with Laura and close friends. He is survived by his wife Laura May Bromiley, and his two children Hallie May and KC Bromiley, East Wenatchee; his parents, Clark and Melinda Bromiley, Badger Mountain; brothers, Robert “Bobby” (Lisa) Bromiley, Waterville, and Evan (Heidi) Bromiley, Badger Mountain; his father and mother in law, Kenneth & Susan Barnhart, Ellensburg, Sister-In-Laws Tanya (Josh) Allen, Katie Barnhart, Brother-in-laws JR (Devin) Barnhart, and Jimmy (Rhyan) Barnhart; and numerous aunts, uncles, nieces, nephews, and cousins. He was preceded in death by his grandparents. A memorial service will be held on Friday, June 22nd at 11:00 a.m. at the N.C.W. Fairgrounds in Waterville. A viewing will be held at Heritage Memorial Chapel on Wednesday, June 20th from 5 to 8 p.m. 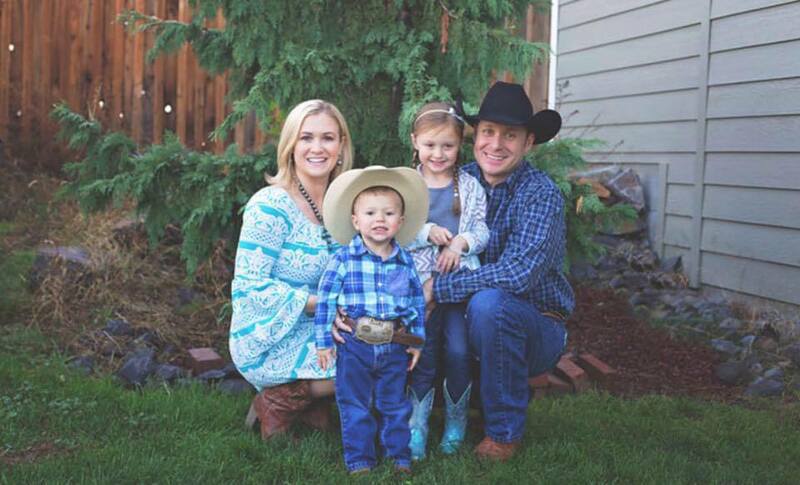 Donations can be made to a Trust for his children, Hallie and KC, at Cashmere Valley Bank. You are all invited to visit his tribute online at www.heritagememorialchapel.com and leave a memory. Arrangements are in care of Heritage Memorial Chapel, East Wenatchee. Please feel free to email rememberingeddie2018@gmail.com with your memories, stories and pictures. These will be used to make a memory book to share with Hallie and KC over the years to come. To send flowers to the family of Edward "Eddie" O. Bromiley, please visit our Heartfelt Sympathies Store.